Why would I need self storage in Metairie, LA? There are a variety of reasons why you might need self-storage in Metairie, LA. How much is a storage unit in Metairie, LA? The cheapest storage unit in Metairie, LA is $70.00 per month. What size storage units do you have available in Metairie, LA? In Metairie, LA we have sizes that range from 5'x5' to 10'x30' to suit your storage needs. How much is it for a 5'x5' storage unit in Metairie, LA? The cheapest 5'x5' storage unit in Metairie, LA is $70.00 per month. 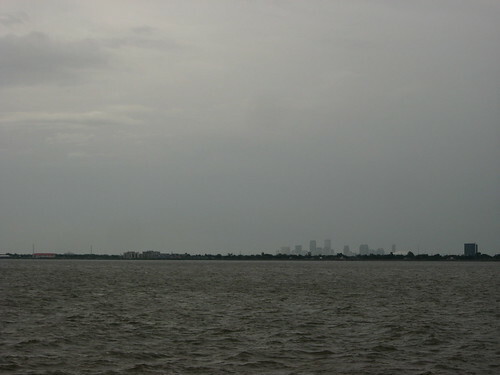 Metairie is a large, thriving Louisiana community, part of the larger Jefferson Parish. Although it's not an official city, it would be one of the largest cities in the state if it were to be incorporated. The community is the site of the training facilities for the NFL's New Orleans Saints, and many of the players have made the town their home. Metairie stands out as one of the few cities in the United States that doesn't tax its residents. This makes it an attractive place for people who want to live near New Orleans, but want a budget-friendly, suburban setting. Metairie, like much of Louisiana, was settled by French immigrants looking for opportunities in the New World. These early settlers started a farming community near the city's current location, leasing the land from wealthy landowners by paying their rent with produce. This common practice was called "sharecropping," which in French is "metairie," the inspiration for the community's name. Even after the Civil War, many of Metairie's residents were sharecroppers. It wasn't until urbanization swept the area in the 1910s that the town shifted away from farming and toward its present-day suburban setting. Jefferson Parish has established a number of parks and recreational spaces throughout Metairie, providing plenty of space for both children and adults to enjoy. There are several community playgrounds in the community, including Doe Playground, Delta Playground and Mike Miley Playground. Parks like Lafrenier Park offer open green spaces, ideal for walking, picnicking and enjoying the warm spring and summer months. Metairie parks also hosts several youth sports leagues as well as arts and cultural programs like piano lessons. The city is home to the New Orleans Babycakes baseball team, a Triple-A minor league team that has many local fans. Students in Metairie are served by the Jefferson Parish Public School System. In addition to its traditional elementary, middle and high schools, the system manages several charter schools and advanced study academies. Utilities: Entergy Louisiana, Atmos Energy and the Jefferson Parish Department of Water provide all of Metairie's major utilities. Garbage and Recycling: Jefferson Parish facilitates curbside collection of trash and recycling throughout Metairie. Transportation: Jefferson Transit operates a network of public bus routes that provide a transit option throughout the entire Jefferson Parrish. The median home price in Metairie is just slightly higher than the national average, but it's considerably higher than the Louisiana state average. However, one of the major benefits of this community is that its housing market is large and diverse, offering everything from compact apartments and town houses to large luxury homes on generously-sized lots. Our lowest priced units in Metairie, LA average $83.00 per month. 325 people have reserved units in Metairie, LA in the past 30 days. There are 3 locations within Metairie, LA's city limits. There are 3 locations in Metairie, LA that offer AC and Heating features.